Window Treatments & Cross Flow Ventilation. Use of Glass & Window Treatments & Cross Flow Ventilation. 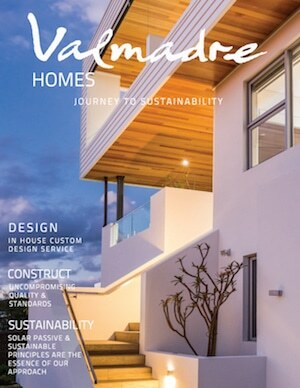 At Valmadre Homes, sustainable building principles are the very essence of our approach, that’s why we ensure that we employ solar passive designs throughout every stage of the design and building process with the ethos that sustainability and style work together. Things to consider when planning the design and layout of your windows are size, how much shading to provide the glass as to let the sunshine in when it’s cold outside and to also exclude it when it’s hot (picture 1, GEOGRAPHE 1 has large west facing windows which will attract massive afternoon heat gain, however, the design has a large roof overhang to protect the windows) and also how you can accompany the windows with the right thermal mass to store the sun’s heat and provide night-time warmth in cold conditions. Other factors which will weigh heavily on the performance of the windows are the orientation in which they face and also the ability of the home to naturally cross-ventilate. 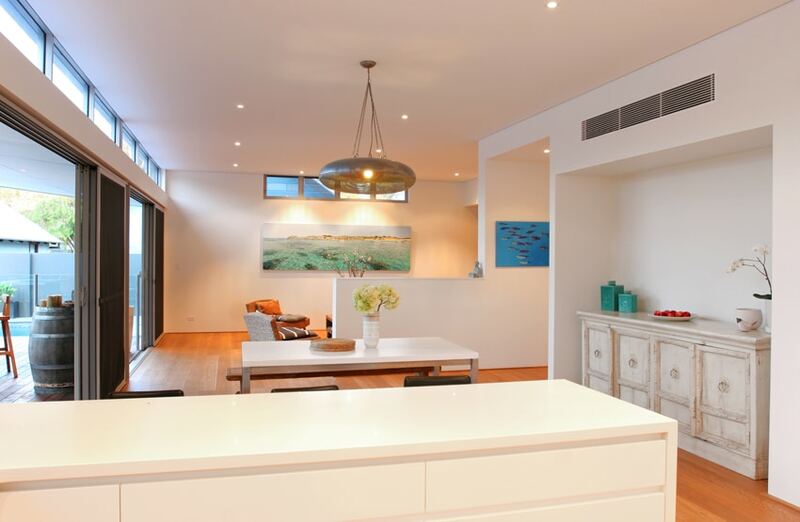 (picture 2 QUINDALUP 2 shows the benefit of north facing glazing & natural light and winter sun heat gain. Picture 3 QUINDALUP 1 shows how small windows in a hallway on the windward (prevailing winds) side of the home can help flush sea breezes through the home and exit via large north facing windows). Good house and window orientation increases the energy efficiency of a home, making it more comfortable to live in and cheaper to run. The most important orientation aspect to consider is the direction your house and windows face and their solar access. It’s important to design your home for the entire year, not just one season. 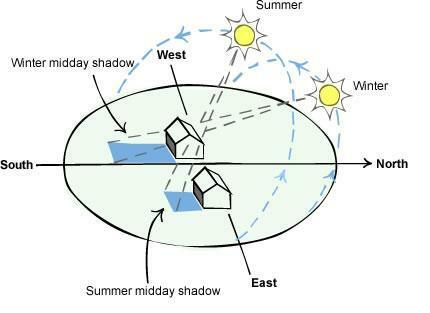 The ideal house orientation is one that runs along an East-West axis so that wall areas receiving hot morning and afternoon sun are minimised. The amount of sunlight directed at a window varies according to the time of year, housing density and orientation. In the southern hemisphere the angle of the sun makes a low arc across the sky in winter with its highest arc reached in Summer. North-facing windows receive twice the winter sun than east and west facing windows, allowing light and warmth into the home. They can be easily shaded from the high summer sun to help keep the house cool. 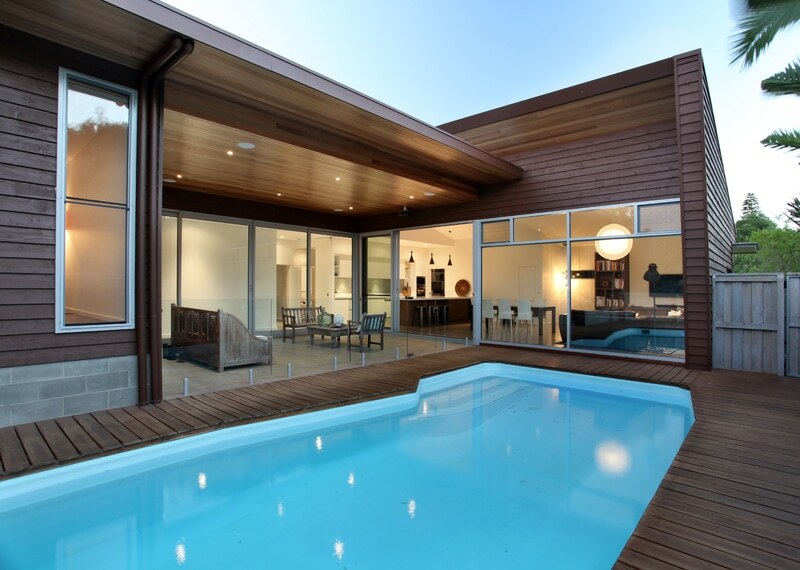 Ideally, the glazing area should be between 10-25% of the floor area of the room. East and west-facing windows receive little sunlight in winter, autumn and spring, but excessive sunlight in summer. It is recommended windows are kept small and well-shaded, particularly those facing west if this does not compromise ventilation. Alternatively, consider using high performance glazing such as low-e or toned glass. 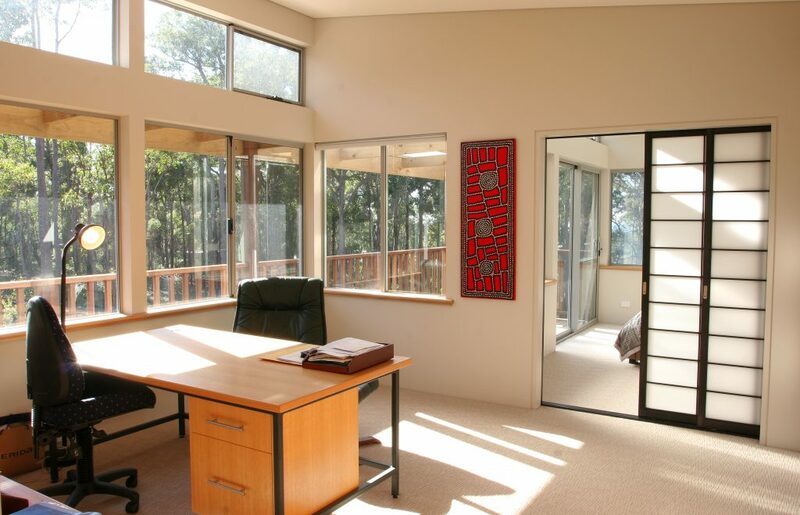 South is a good direction for views as south facing windows require no shading from direct sun or minimal shading. Windows can add to the energy performance of your home through two distinct heat transfer mechanisms — conduction and solar heat gain. 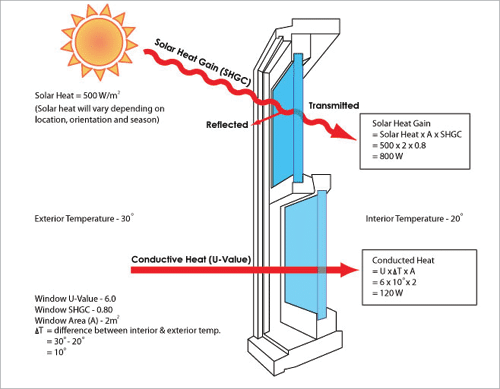 U-value (expressed as Uw in windows) measures how readily a window system conducts heat. It is a measure of the rate of non-solar heat loss or gain through it. The rate of heat is indicated in the terms of the U-value of a window assembly which includes the effect of the frame, glass, seals and any spacers. The lower the U-value, the greater a window’s resistance to heat flow and the better its insulating value. The Solar heat gain coefficient is expressed as SHGCw and measures how quickly heat from direct sunlight flows through a window system. It’s the amount of solar radiation admitted through the window, directly transmitted as well as absorbed and subsequently released inward. SHGC is expressed as a number between 0 and 1. The lower a window’s SHGC, the less solar heat it transmits. There are literally thousands of types of glass and frames to choose from. Selecting the right ones is critical to improving the energy efficiency of your home. Specific products have been designed to keep heat in or out and have varying impacts on daytime lighting, noise control, maintenance and security. Reducing the amount of solar radiation transmitted through glazing can reduce the amount of daylight entering your home. The amount of light transmitted by glazing is specified by the visible light transmittance, which is recorded as either TVw (visible transmittance of the window) or VLT (visible light transmittance). Both mean exactly the same. Low TVw = too dark inside = lights on = higher energy costs. This involves wind entering through a vent (or a window or door), and allowing air to flow directly through the house and out through an opening on the other side of the home. Knowing which way the wind is likely to blow where you plan to build is a good way to plan for effective cross ventilation. Likewise, the position and size of your vents, windows and doors, as well as the path between the different sides of the house, make a big difference to how effectively you can cross ventilate your home.